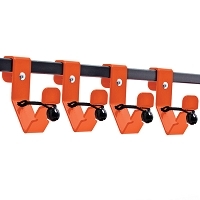 Rack includes (4) clips. 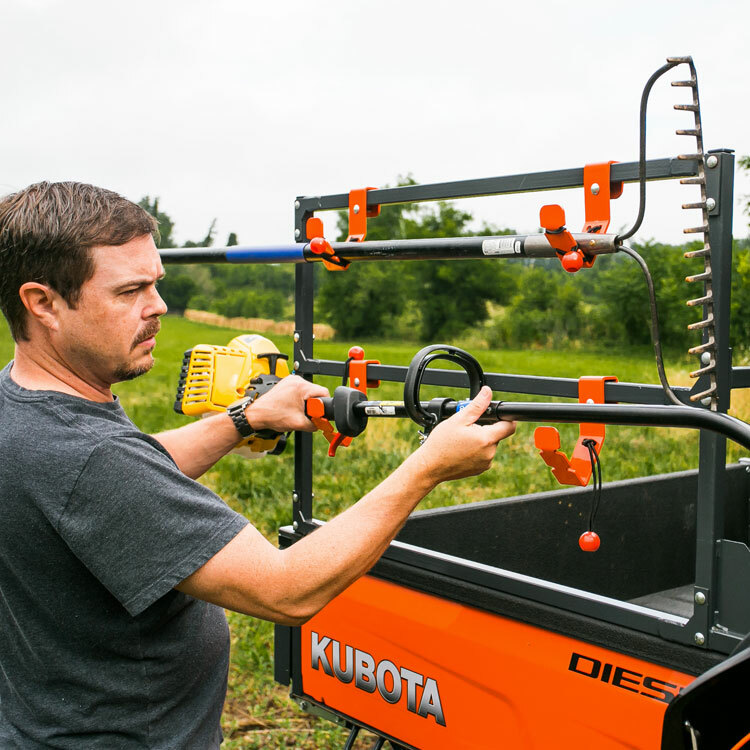 Shown with additional (4) sold separately. 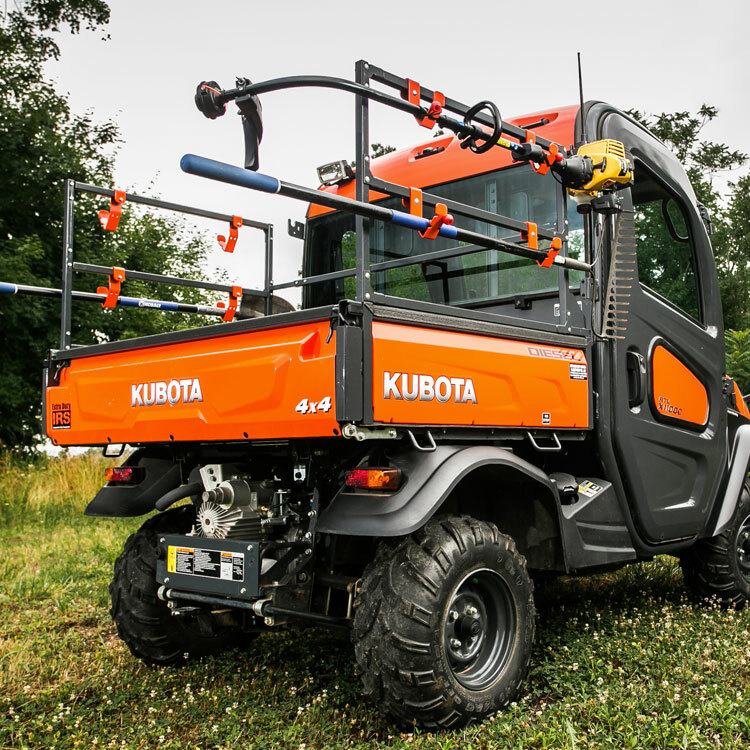 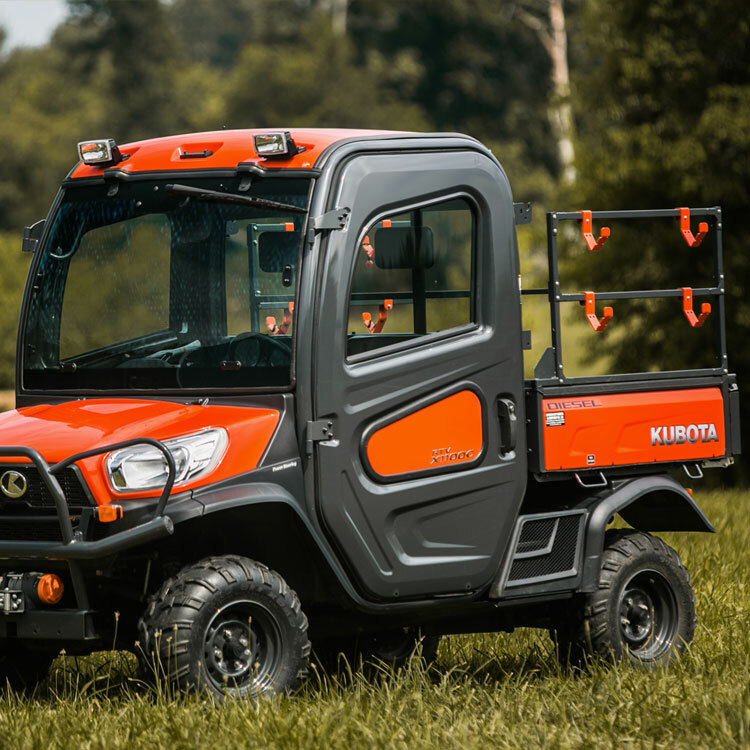 Whether you use your Kubota RTV X-Series for work such as farming, rescue/emergency, landscaping or for personal use such as hunting and fishing or just for recreation, you will find that the new accessory rack has a lot to offer. 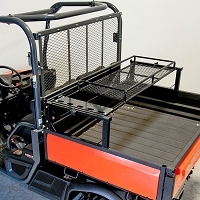 Each rack system offers functionality, quality, and durability. 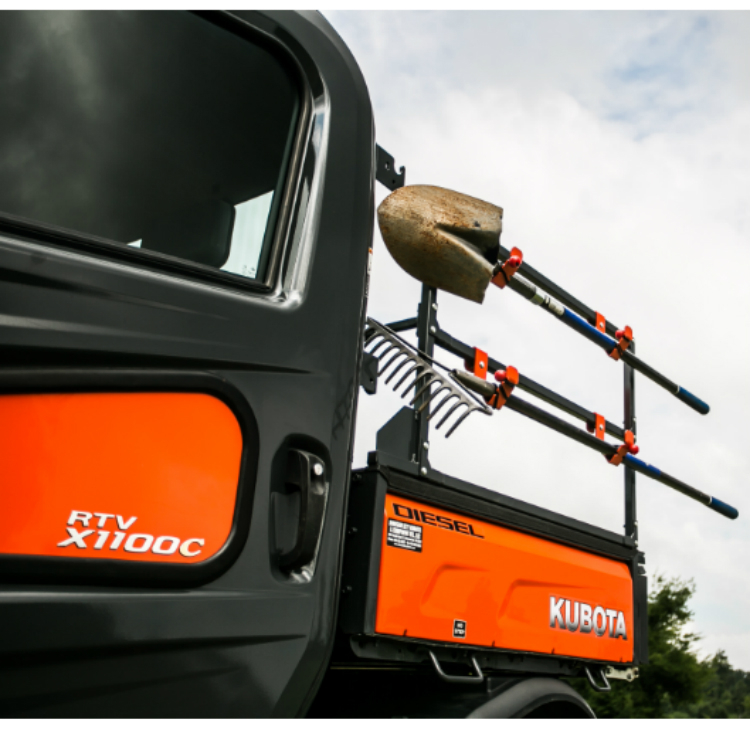 This rack systems fits Kubota RTV Utility Vehicles including RTV-X900, RTV-X1120D & RTV-X1100 models. 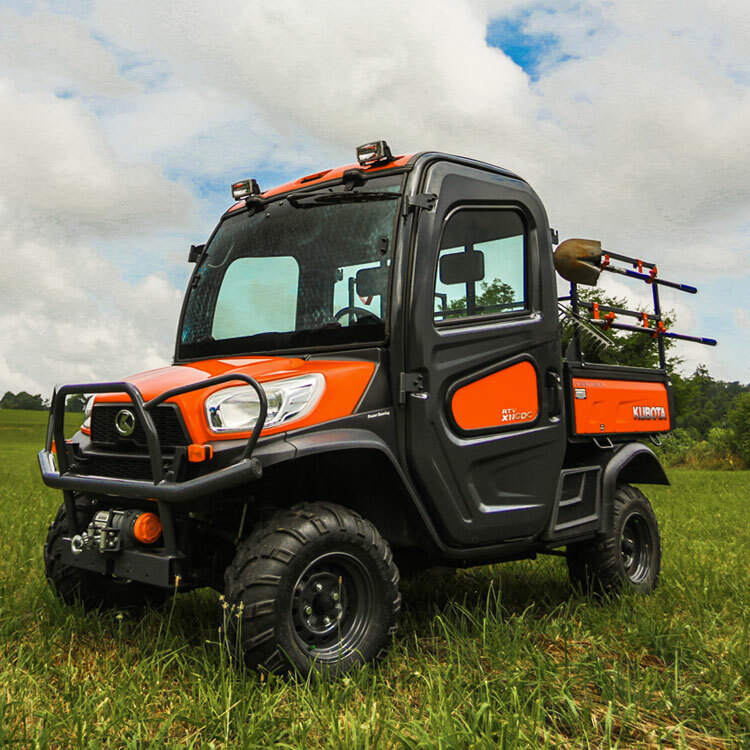 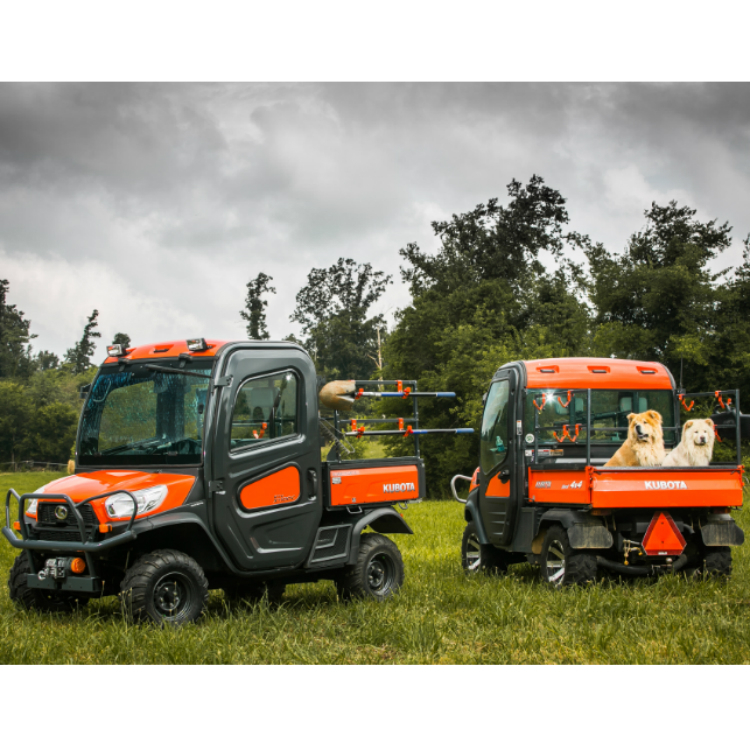 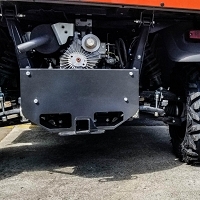 A functional and durable enhancement to your Kubota RTV! 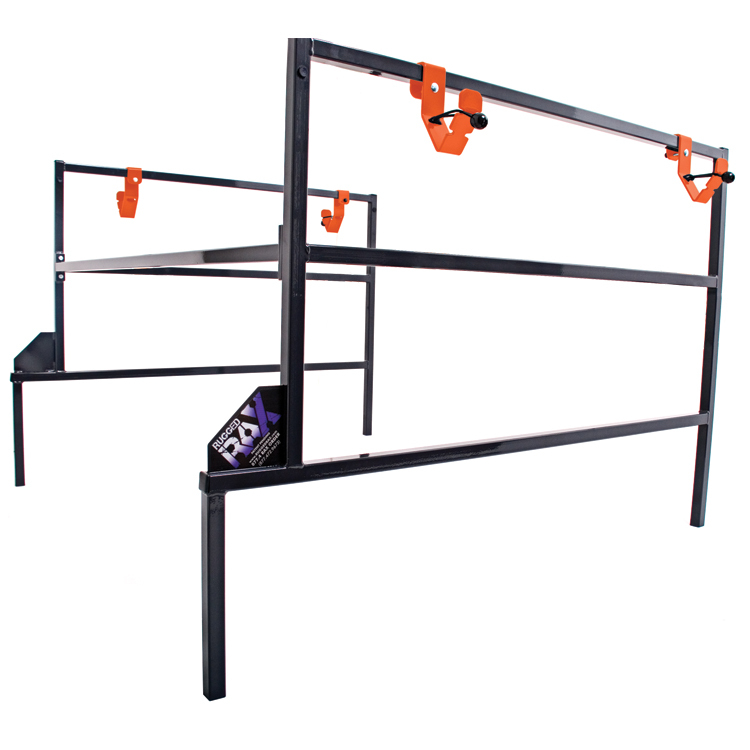 Q: Ok, if no mods to the UV are required, how is this rack attached to the UV? 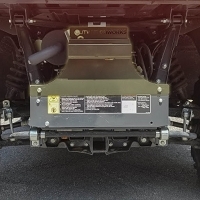 A: The Utility Bed Rack is installed by removing the four rubber tabs of the RTV bed corners. 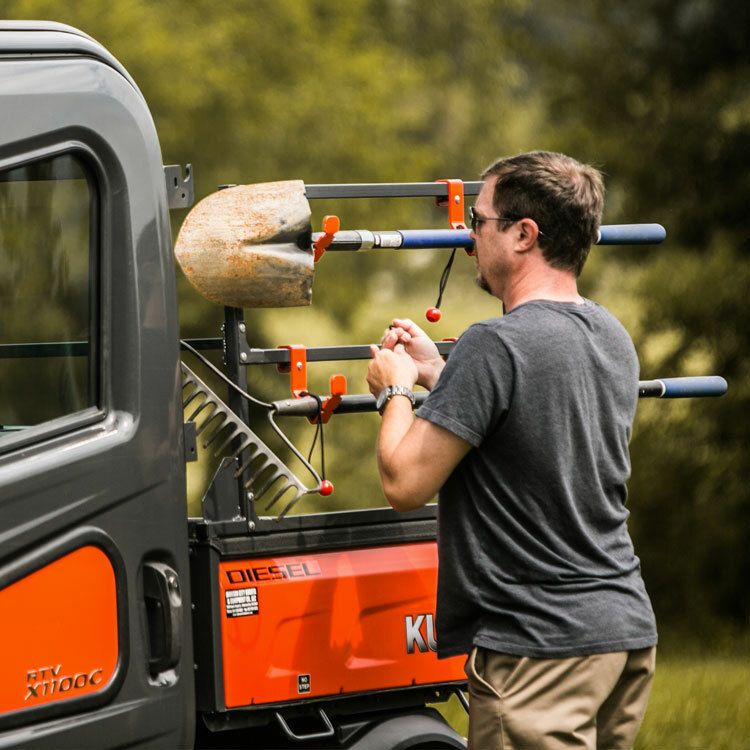 Then the rails will slide down the four corner holes.